Wilma L. Bassett, 96, of Quincy, formerly of Macomb, Illinois, passed away at 10:25 pm Monday (September 3, 2018) in the Illinois Veterans Home. Born August 16, 1922 in Vermont, Illinois, Wilma was the daughter of Ernest and Chloe Stone France. She married Donal Bassett on June 24, 1943 in Rockville, Maryland. He preceded her in death in 1978. Wilma enjoyed bowling in her younger years. She was an avid reader and an accomplished seamstress. Wilma was a wonderful wife and mother who was devoted to her family and cherished the time she spent with them, especially with her grandchildren. 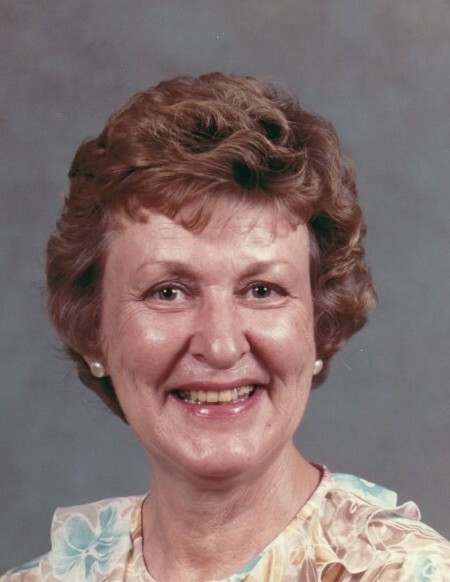 Wilma began her career as a Nurse's Aide at a nursing home in Astoria, Illinois and later at Culbertson Hospital in Rushville for several years until her retirement. Survivors include a son, Dennis Bassett (Linda) of Quincy; a daughter, Melinda Barclay (Charles) of Newburgh, IN; four grandchildren, Ben Bassett (Cathy) of Chapel Hill, N.C., Natalie Gensits ( Jamie) of St. Louis, MO, Mischa Story (Landon) of Nashville, TN, Allison Ingler (Dan) of Newburgh, IN; eight great grandchildren, Connor, Declan, Ian, Jason, Rylan, Reagan, Alaina and Alivia; a brother, Merle France (Helen) of Indianapolis, IN; a sister, Phyllis Martin of Vermont, IL; and many loving nieces and nephews. Wilma was preceded in death by her parents; and her husband, Donal; a longtime companion, Jack Phillips; two brothers, Virgil France and Charles France; and four sisters, Vera Markley, Jean Heavenridge, Dorothy Knight and Ilene Rogers. Graveside services will be held Saturday (October 6, 2018) afternoon at 12:00 in Vermont Cemetery in Vermont, Illinois with Pastor Tim Gilliland officiating. Memorials may be made to the Illinois Veterans Home Activity Fund.